Remove the the THC test strip from its sealed pouch, or remove from the canister, and use it as soon as possible. For the best results, the test should be performed within an hour. The canister should be closed tightly after removing any strips. 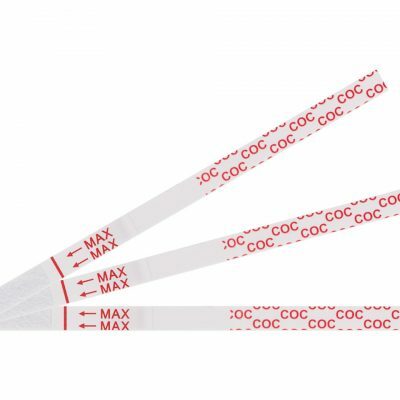 Hold the THC test strip by the end, where the product name is printed. To avoid contamination, do not touch the strip membrane. External controls are not supplied with this kit. 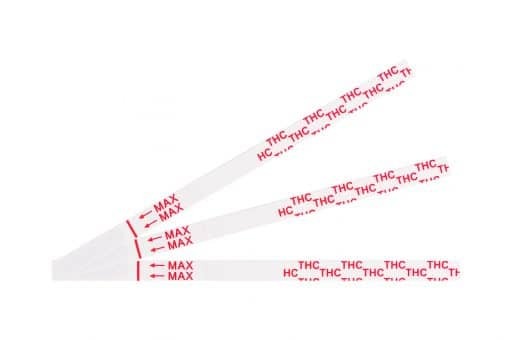 It is recommended that positive and negative controls be tested as a good laboratory practice to confirm the THC test procedure to verify proper test performance.